That's what I've been waiting to see! Wow, nice! I love how that brazil-nut pommel turned out! Wow. Yet another one that I wasn't sure that I'd like and was soundly proven wrong. You've got another winner, guys. However... 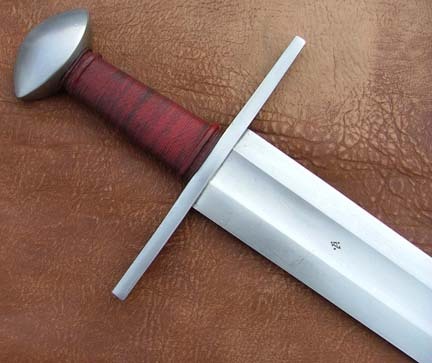 I seriously doubt I'll lose out on this one 'cause it sold out... not that it won't sell that many, but that I really dig that pommel, and I can tighten my belt if I have to. I'm just hoping it fits into my PJ scabbard. Well, do you know anyone who could make one?